Tell security you're with the band, and you're totally backstage. iwannashagsimon : the links aren't working. I plan on either the band tee, or a black/red blouse, black short skirt, black stockings and boots. I think it would be easier to have hair like Simon, in CV's sig than do Rob;s hair. Mine is longer. that is really quite disturbing. 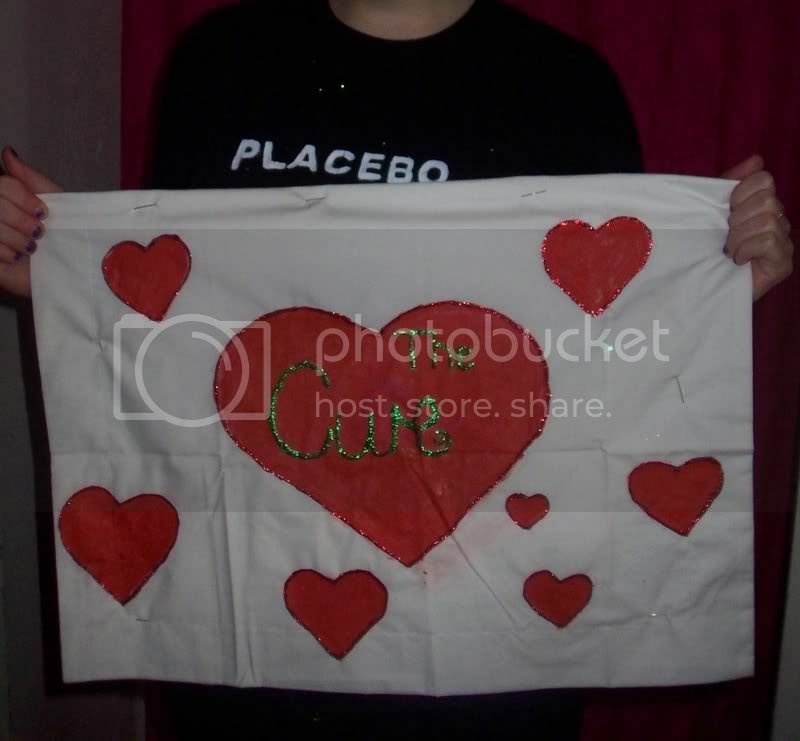 i wore black pants/longsleve top/placebo tshirt i made/high doc martins.. and i covered myself in glitter. but it was not a question of what robert will be wearing but what you will wear. so is that actually you or robert there, with those fancy lederhosen? Multicoloured robes! And a nice hat, perhaps a tophat! Well, if Robert wears Leiderhosen, then so will I! probably the biggest IF ever.